As the micro-scene in craft brewing and distilling continues to flourish across the country, and wineries further hone their varietals, are changes in the air following this trend of innovation? We decided to check in with a few airline carriers to see what’s being served onboard for those seeking a mile-high cocktail. 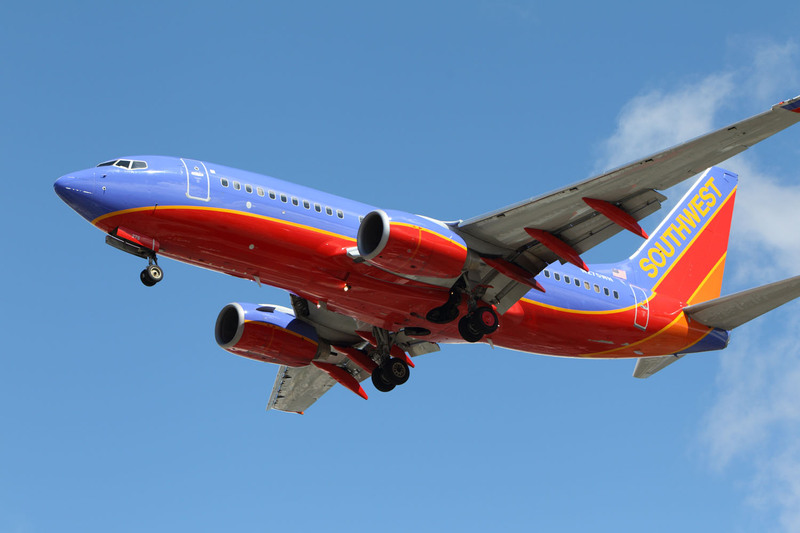 We take a look at two independent carriers, Jet Blue and Southwest, and two conglomerates, American and Delta. Southwest Airlines has a somewhat no-frills drinks menu in line with their fare pricing. 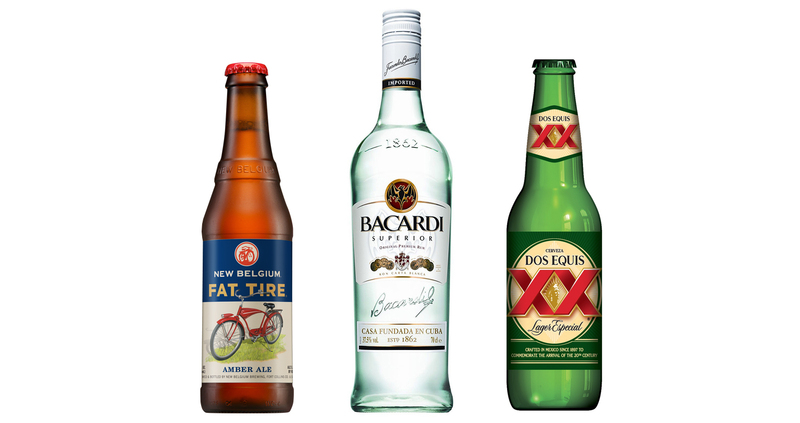 Non-mainstream brews offered include Fat Tire, Dos Equis Special Lager, and seasonal selections such as their recent winter offering of Leinenkugel’s Snowdrift Vanilla Porter. The airline has chosen to offer a basic Merlot and Chardonnay selection from Coastal Ridge Winery, out of Napa Valley region in California. In terms of hard liquor, it’s a well-recognized list of known brands that include Dewar’s, Jack Daniels’, Tanqueray, Bacardi, Baileys, Finlandia and Canadian Club. All beverages are priced at a very reasonable $5.00, lower than the standard average among other carriers. 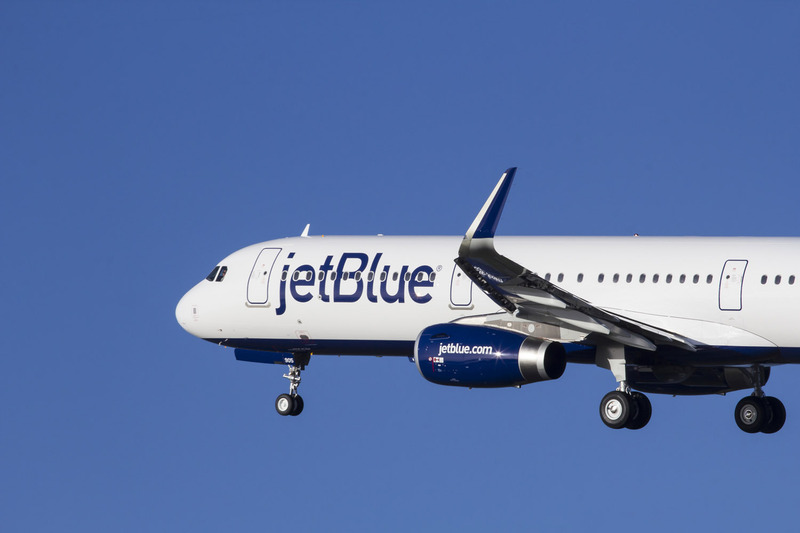 One of the most innovative in the air seems to be JetBlue. Their micro-beer selection includes Brooklyn Brewery Lager, which they’ve been serving since 2011, as well as Harpoon Brewery UFO White. They also offer Angry Orchard Hard Cider, which may well be the first time a cider has been offered onboard a commercial aircraft in America. For their wines, the carrier went with France’s Reserve Sainte Cecile, offering a Cabernet Sauvignon and Sauvignon Blanc. In addition, they’ve include a bubbly choice of Segura Viudas Sparkling Wine, a handcrafted Brut Cava, Spain’s answer to French Champagne. 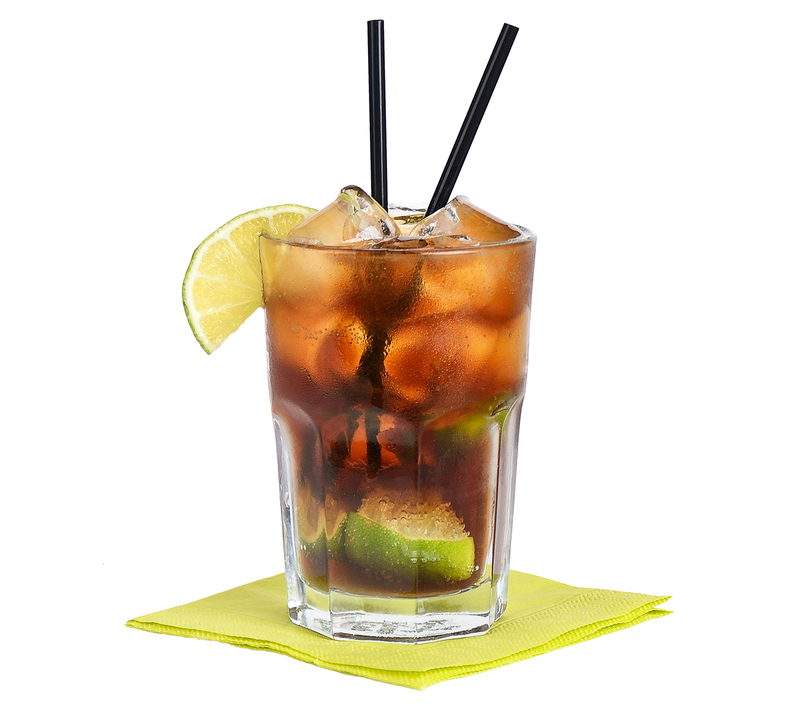 Again, spirits are typically traditional with Finlandia, Jack Daniel’s, Dewar’s, Bacardi, and Bombay. Huang also mentioned that their Signature Cocktail, Honey Infused Lime-Aid Vodka was so well-received that they had to introduce an alternate offering as well to keep up with demand. 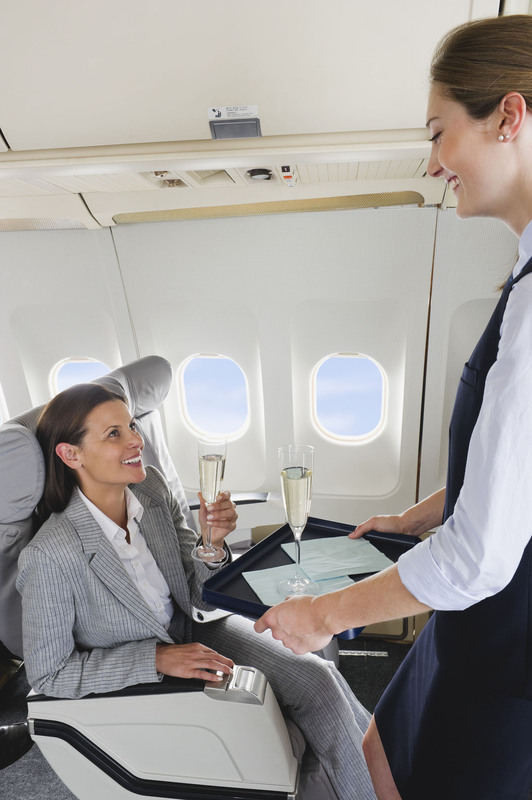 She also alluded to the fact that passengers often make their own basic cocktails using onboard ingredients, such as a Screwdriver, Bloody Mary, Cuba Libre, and wine spritzers. 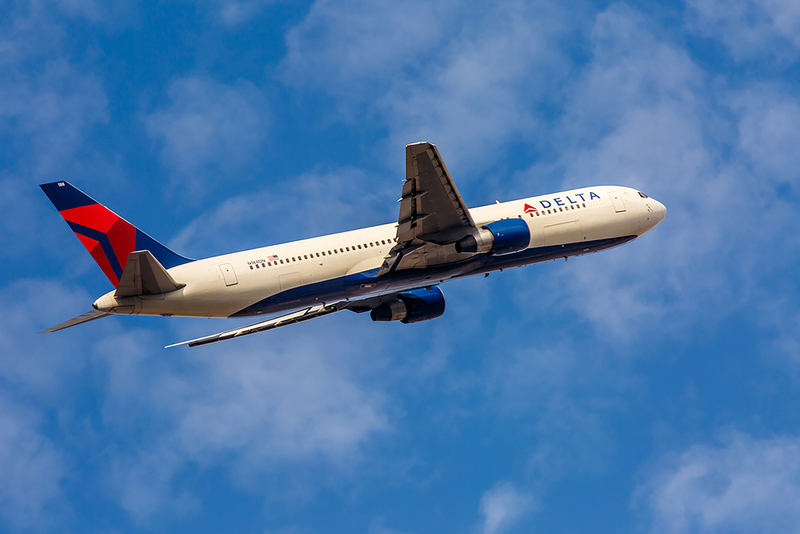 When it comes to the bigger players in the sky, it’s a bit of a different ballgame as the volume needed to service a much larger flight network may not always allow for many options outside the bigger players in the alcohol industry. 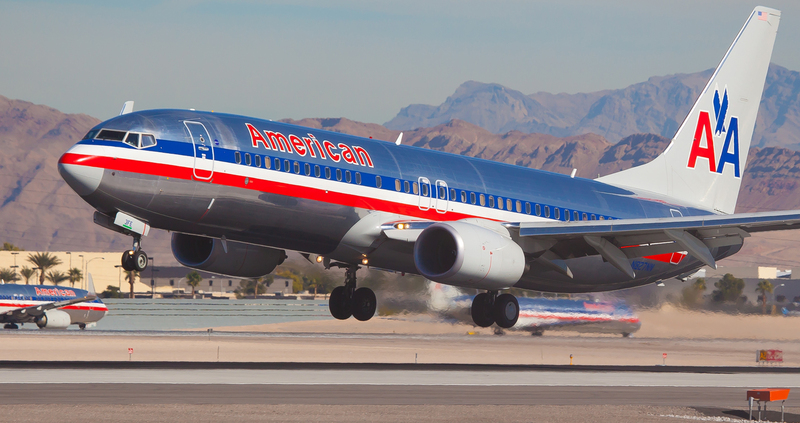 For instance, the only offerings American Airlines has that might even compare to “micro” are Tito’s Vodka and Samuel Adam’s beer. Delta on the other hand seems to be going beyond the traditional with Avión Tequila and Woodford Reserve-Small Batch Bourbon being offered in addition to the known names noted above. 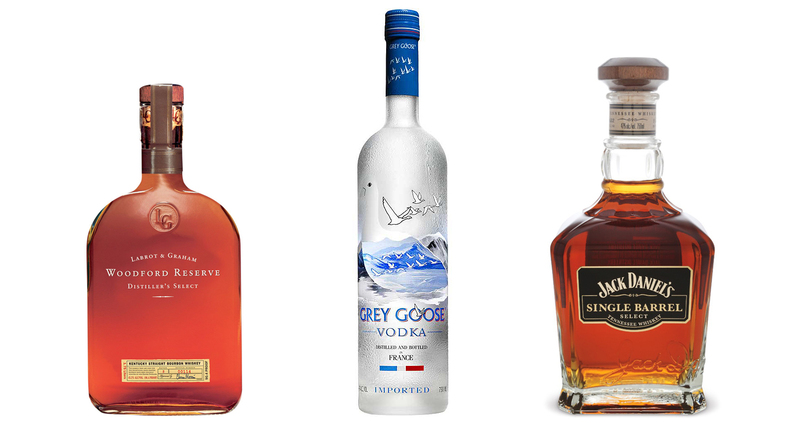 Grey Goose vodka and Jack Single Barrel are also being offered for customers seated in the premium cabin. As well, the carrier wins hands –down for their extensive list of micro-brews that includes Lagunitas IPA, Stone IPA, Brooklyn Lager, Ballast Point Scuplin IPA, Blue Point Toasted Lager, Newburyport Pale Ale, Sam Adams Boston Lager, and SweetWater 420 Extra Pale Ale. Another unique offering that Delta has is their onboard prepared cocktails. Media spokesperson Michael Thomas states, “We offer our Signature Delta Sunrise Cocktail featuring Bombay Sapphire Gin with cranberry-apple juice and a splash of ginger ale. Also, last month we started serving a signature cocktail developed by a Delta flight attendant, called the Jack and Joe. It’s a blend of Jack Daniel’s Tennessee Honey Whiskey, Bailey’s Irish Cream, and coffee—served on the rocks or warm.” Thomas also mentioned they make a very concerted effort to pair wines by region and season.